I offer mostly my own creations here. 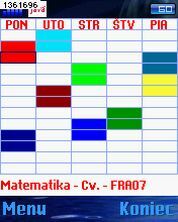 However, there are also other files I wanted to share. I recommend 7-Zip to extract these files as it supports all archive formats and is free. 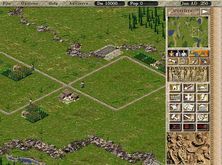 Click the heading of a download to open its details with pictures. 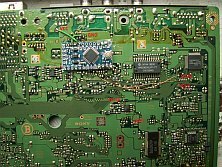 How to reuse a tuner from old TV? Fed up with ads in TV and monitors on public places? With this device you can simply turn it off. 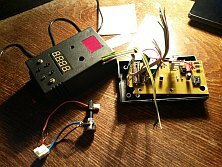 Device that makes receiving of shortwave radio stations possible with a cheap USB dongle. How to play burned games on PlayStation 1. 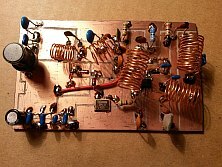 A simple FM receiver suitable also for beginners. 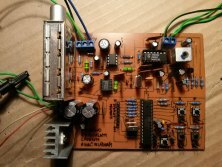 Enhanced magnetostimulator by magazine Amatérske rádio. 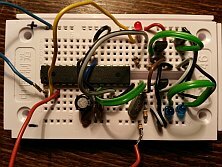 Simple morse code transmitter in AM band with ATTiny85. 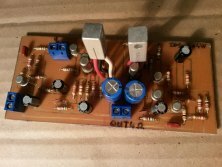 Small stereo amplifier with GC510 and GC520 transistors. 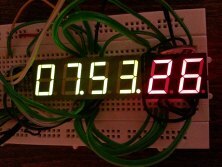 Digital clock with 7-segment LED displays. 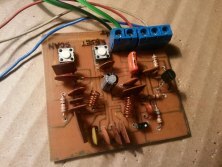 Source code and schematics included. 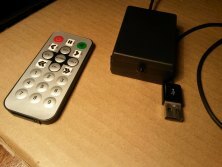 Universal DIY IR remote over USB, great for watching movies. Application for geocachers who collect personal wood geocoins. Searches for files on decentralized DirectConnect P2P network. My diploma thesis - mobile phone as a cryptographic token. It is a bit like SQL Server Management Studio. Mini-games RPS, Keno 10, Frogs and Matches. Simple chat application in C for Linux-like systems. Web-based DirectConnect client in PHP for chat only. 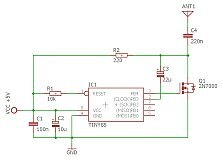 Program using GDI+ to draw schematics. New puzzles in a bigger map for more skilled players. Big single player map with a simple story. 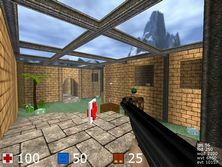 Multiplayer version of my Quake 2 map. Singleplayer map - whole first story of school building I used to visit. Singleplayer map - cinema, hotel, subway etc. All six episodes of new levels by me. 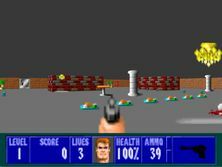 Wolfenstein 3D with my levels and new weapons, textures, enemies and more. 62 easy to medium Supaplex levels, solutions included. 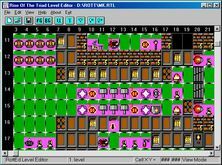 All 16 custom levels for this oldie. 2 singleplayer maps and 10 multiplayer maps. Multiplayer map for game named Cube. The map I never finished. 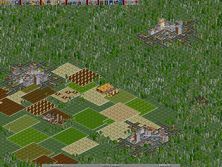 Five custom maps for Caesar III. 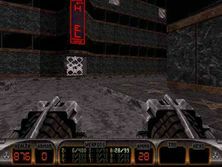 Medium-sized singleplayer level for Ultimate Doom or Doom 1. Multiplayer map for even number of players. 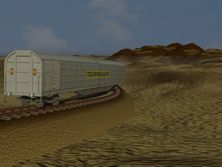 Flat-surfaced scenarios for Transport Tycoon Deluxe. The first of deathmatch levels for Heretic. 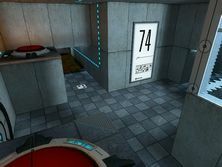 The second of deathmatch levels for Heretic. The last (and best) deathmatch level for Heretic. 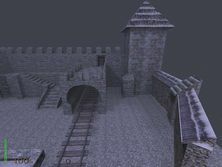 Very cool and reliable map editor for Quake engine games. Very simple but working editor. 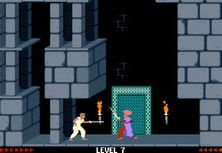 Level editor for Prince of Persia 1. 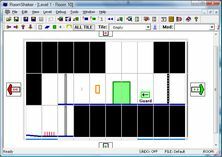 High-quality level editor for Doom 1, 2 and Heretic. Pretty hard to use, but the only official editor for Duke Nukem 3D. 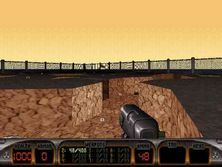 Level editor for Blood, with improvements against Mapedit used for Duke Nukem 3D. 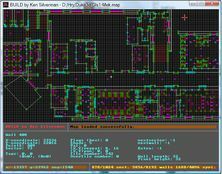 16-bit map editor for Rise Of The Triad. EXE files of Duke Nukem 3D ported to Windows. 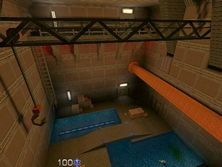 Compilation program called Q3Map2 needed to make maps for Quake 3-like games. Important utilities for map compilation of older Quake games. 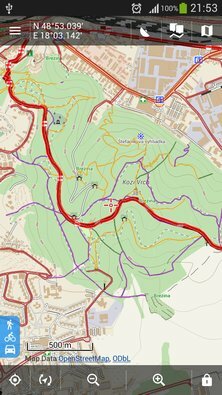 Transparent map layer for Locus (Android application) with forest roads and paths in Slovakia. 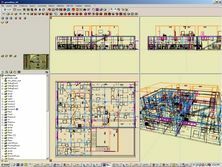 3D Studio Max model including rendered video. All kinds of icons for Windows that I collected in this single DLL library. Hundreds of polyphonic ringtones in MID format. A "no-cd play" guide in Slovak. Some Slovak jokes and other fun stuff.